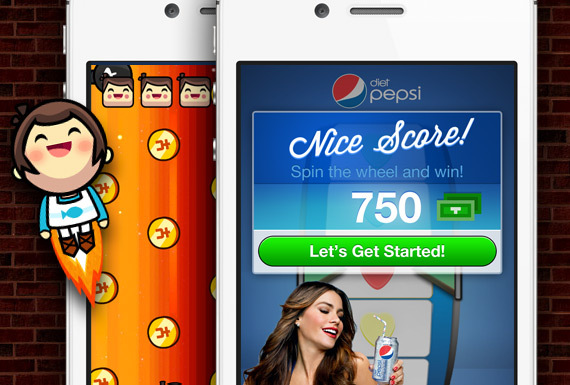 Kiip, a mobile reward network, has been doling out rewards to users who reach milestones and moments in mobile apps. But the San Francisco startup has largely been a B2B company, working with developers and brands. Now that it’s announcing it has raised $11 million, it’s looking to become more of a consumer-facing company. The startup, founded in 2010 by teenager Brian Wong, is raising the money from Relay Ventures, who led the new funding with participation from existing investors Hummer Winblad and True Ventures (see disclosure below). This comes on top of $4.3 million that Kiip had previously raised. The investment will be used to help Kiip grow and pursue a number of initiatives, including an upcoming consumer mobile app called Kiipsake that will allow users to manage all their rewards. Kiip is now at work in more than 400 apps and is distributing rewards from more than 40 brands and advertisers to users at a rate of five every second or about 400,000 a day. The platform has expanded in recent months and can now be used for not just games but also health and fitness apps. Users are redeeming their rewards 18 to 22 percent of the time. With all that activity, Wong said the logical step is to provide an easy way for users to organize their rewards instead of tracking them through emails, which was the way to do it before. The new app should be available by the end of the month. Kiip’s website has also been tweaked to appeal more to consumers, letting them see which apps support rewards. “Now that we are moving beyond games we are interacting with consumers more frequently and directly so we want to make reward redemptions easier,” Wong said. Wong is looking at expanding the categories of apps that can use Kiip, beyond games and fitness. That can provide another boost for developers looking to better monetize their apps. Kiip works with a lot of big name advertisers including American Apparel, Best Buy (s bby), Disney (s dis), Dr Pepper, PepsiCo (s pep) and Sony Music. The 30-person company, which just opened an office in LA and recently moved to a new building in San Francisco, has been busy in the last year, introducing branded tournaments, a self-serve tool and a fund to help encourage developers. Next up is international expansion as Kiip looks to take its rewards models to overseas markets.